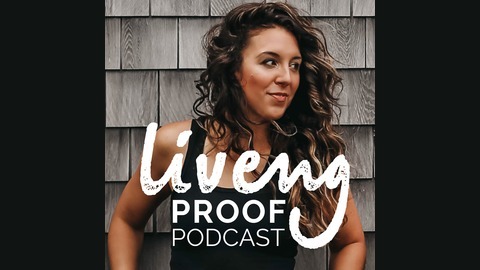 In this episode I’m chatting with Living Proof Podcast long-time listener Jill Butler. Jill is a passionate foodie, creative and lover of music, art and photography. She’s recently landed on her dream job, working as a social media + communications coordinator. She finds her daily inspiration in her ability to dream big, create and explore her curiosities into what sparks joy equally in her career and personal life. For many years she was left feeling defeated by her struggle with perfectionism, anxiety and depression. After reaching her lowest point, she decided to seek help and work toward rediscovering who she is, outside the definition of her mental health struggles. By practicing more mindful thinking, she’s been able to reframe her outlook on life, extend grace toward herself, and takes each day one at a time. This episode was brought to you by the Liveng Proof Lightroom Mobile Preset 6-Pack. Get the preset 6-pack and take your photos to the next level! When you’re struggling and you don’t know why it can cause a feeling of distance between you and your spouse. It’s hard to communicate to someone why you’re struggling if you do not know why you are struggling. 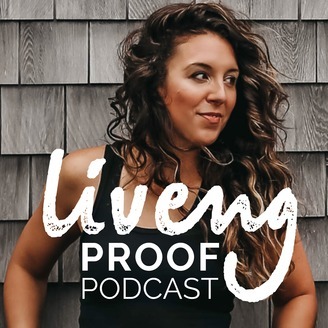 The post LPP #103 Navigating Anxiety & Depression, Sitting With Yourself, Rewriting Old Patterns, & Finding Your Worth with Jill Butler appeared first on Liveng Proof.